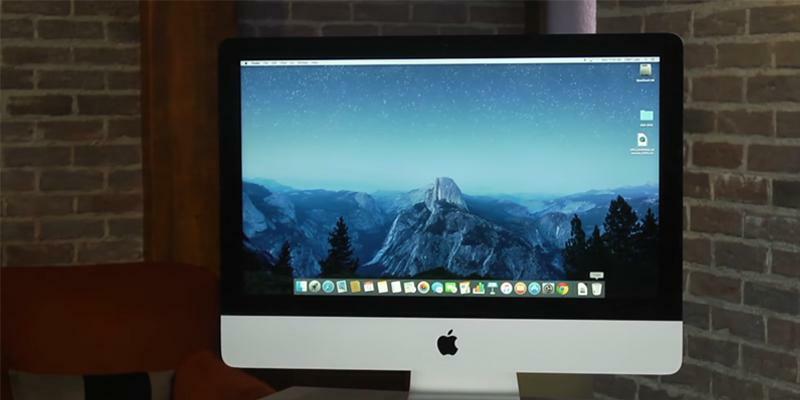 This iMac all-in-one computer is a great choice for photographers thanks to the fantastic image quality. The quick and lag-free operating system allows installing and using a lot of professional-grade software. Despite being really performing, this all-in-one desktop from Apple has quite a 'slow' HDD (5400 RPM). 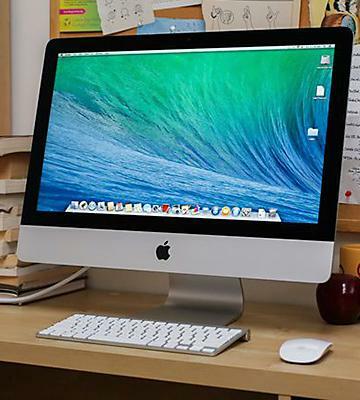 The iMac is the best pick for entertainment and professional use. You will be able to enjoy a responsive and safe OS as well as decent hardware. 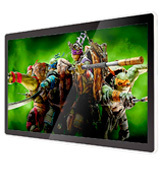 The display offers optional edge-to-edge touch capability. 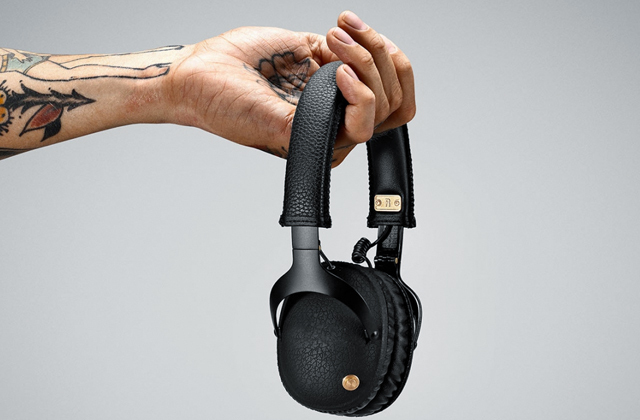 The stereo speakers are professionally tuned with the help of Waves MaxxAudio® Pro. 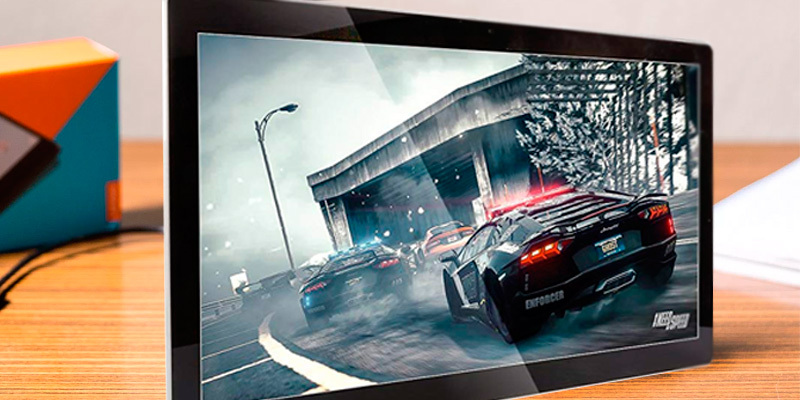 The IPS panel provides superior blacks and high colour accuracy. The Wi-Fi adapter lacks in range. 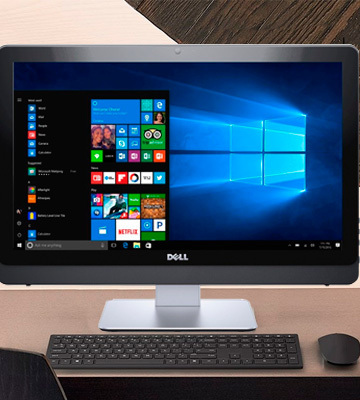 The Dell Inspiron 3000 is as close as a budget all-in-one desktop gets to an actual high-end desktop rig. Other than the integrated GPU, the model packs the sort of hardware that really has no business being a part of such an affordable PC. All in all, it's a great choice for professionals who value their time and money. The monitor's native full HD 1920 x 1080p resolution provides a crisp and detailed image. The anti-glare technology will let you maximise your efficiency, even with the monitor facing the sun. It also features tilt and swivel functions. The mouse isn't as responsive as it could be. 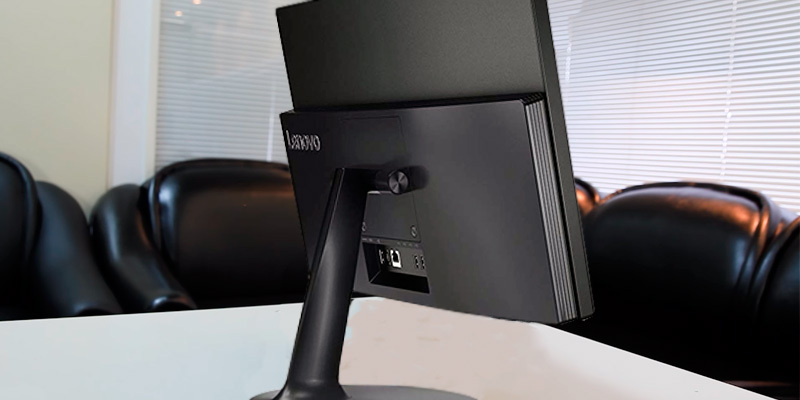 The Lenovo V410z is definitely one of the more balanced all-in-one desktop computers in its class. Its slim and streamlined profile won't look out of place and might even add style to your room or workspace. The hardware and the monitor make it a solid rig for your everyday office work. 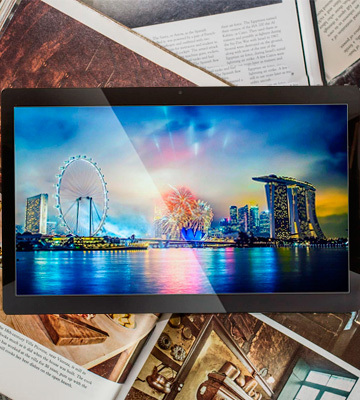 The HP 20-c000na comes preloaded with a variety of software for video and photo editing. It can get louder than it's supposed to be. Excellent performance characteristics combined with a space-saving design makes this desktop PC a popular choice for many users seeking a practical and efficient solution at an affordable price. The panel's ultra-slim profile features just 10 mm of thickness towards the edge. 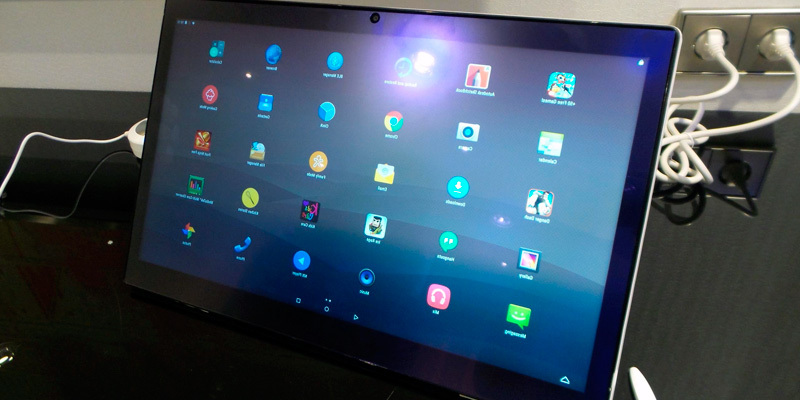 It includes multitouch capabilities, so it doubles as a tablet as well. The computer comes with a pre-installed copy of Windows 10 Home 64-bit Edition, which is impressive considering its price. The software isn't up to date. The Fusion5 A7 doesn't really compete with high-end all-in-one desktops. But it doesn't need to. This is a device for education. A great computer for kids. It makes for a nice replacement or a secondary PC. And it is definitely one of the most portable AIO rigs we've seen so far. A thin and seamless aluminum casing of Apple all-in-one computer combines not just the powerful hardware but a great display as well. This device allows you to immerse fully in the virtual world and the key secret of the unit is its amazing display based on the cutting-edge IPS panel which ensures a breathtaking image clarity, excellent brightness, and immaculate colour reproduction. The screen size is 21.5'' and the maximum resolution supported amounts to 1920x1080 pixels. Needless to mention, the viewing angles are quite wide (176°), so you always see a relevant picture on the display. 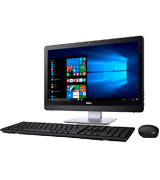 The PC is equipped with a 5th generation Intel Core i5 quad-core CPU and 8 GB RAM, so the all-in-one desktop is fairly versatile and can cope with quite resource-intensive tasks. By the way, if you need to connect several devices to iMac, choose one of the convenient USB hubs from our review. As for peripherals, iMac comes with a wireless Magic keyboard and Magic Mouse 2. 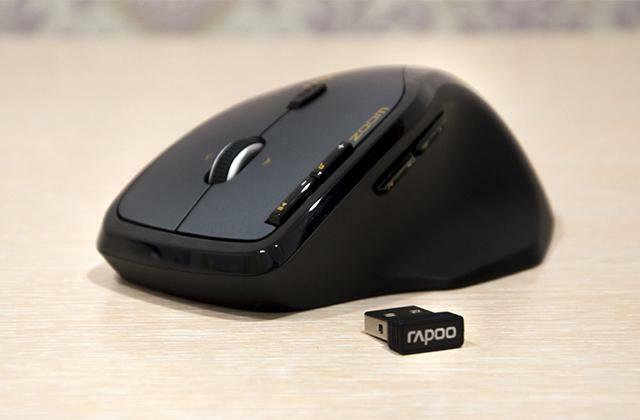 The mouse boasts an upgraded ergonomic design, so it's very comfortable in use. Like all brand-new Apple computers, this one has 2 Thunderbolt 2 ports for high-speed transferring of data. 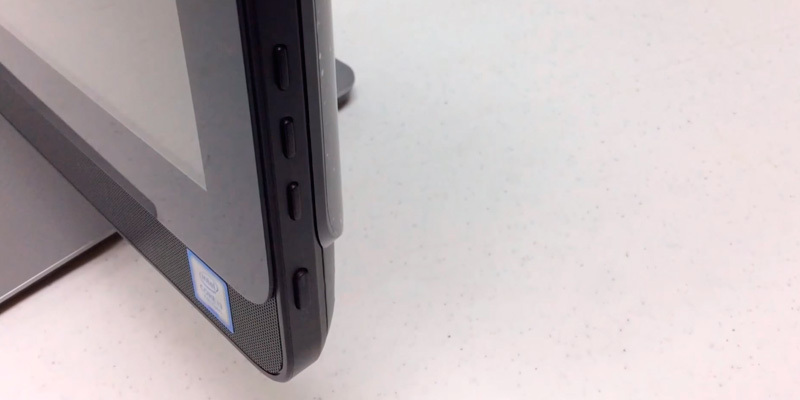 The ports are combined with a Mini DisplayPort for connecting external monitors. Of course, iMac supports wireless data transfer protocols such as Wi-Fi and Bluetooth. 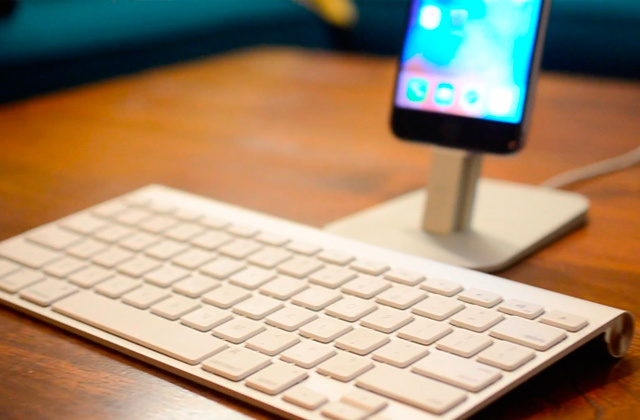 So, you can connect wirelessly some peripheral gadgets to this all-in-one desktop. 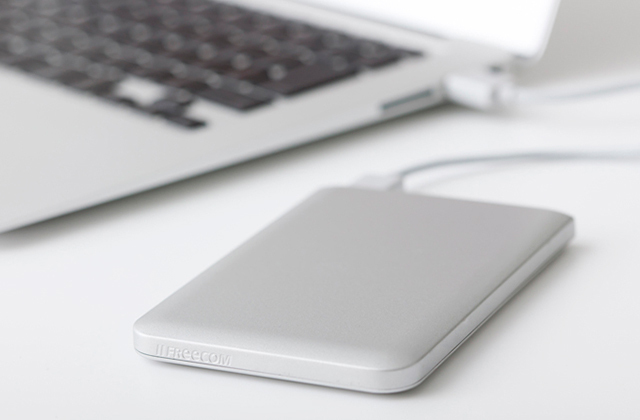 Transferring photos or videos from your camera is effortless since the Apple computer has a card reader compatible with SD, SDHC, and SDXC memory cards. 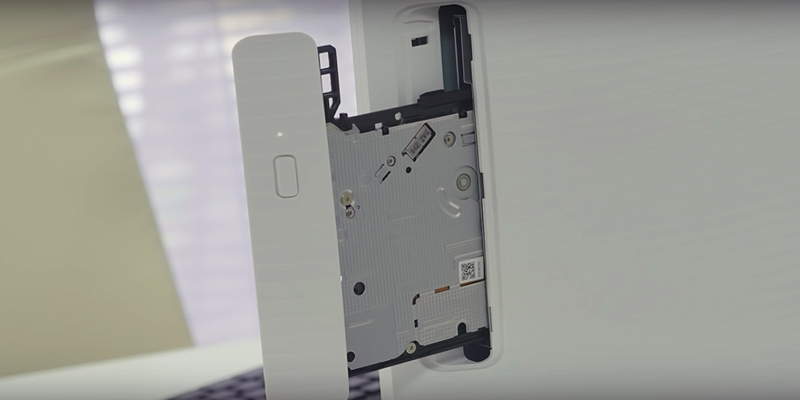 Finally, iMac all-in-one desktop has a headphone-out slot to which you can also connect an external sound system. All-in-one desktops can't compete with regular desktop PCs, that's just the way this particular cookie crumbles. Compared to any above-average rig, they cost a lot less and pack all of the necessary hardware and components into a much smaller unit, so they're forced to sacrifice performance in return. But that doesn't mean that every all-in-one PC is slow and technically unimpressive. On that note, let's talk about the Dell Inspiron 3000. Just about the only thing that this computer doesn't have going for it is a dedicated GPU. Sure, we can't really hold it against the model as all AIO computers in this price range come equipped with an integrated graphics card. Just that, if it wasn't for the integrated GPU, this thing right here would have been an actual gaming rig, capable of running the latest titles at a decent framerate. Of course, you can still play indie and old games, just not any of the new AAA titles. Other than the GPU, the Dell Inspiron 3000 has just about everything going for it. First and foremost, the model boasts an Intel® Core™ i5-7200U processor, with 3 megabytes of cache and up to 3.10 GHz frequency. With this CPU, you'll be able to tackle a variety of resource-intensive applications. But that's just half of the model's performance. See, the aforementioned processor mates 8 gigabytes of DDR4 RAM with its trademark frequency of 2133 MHz. What you get out of this combination is a perfect build for multitasking. It will let you edit videos, browse dozens of Google Chrome tabs, and run a variety of different applications in the background, all at the same time. 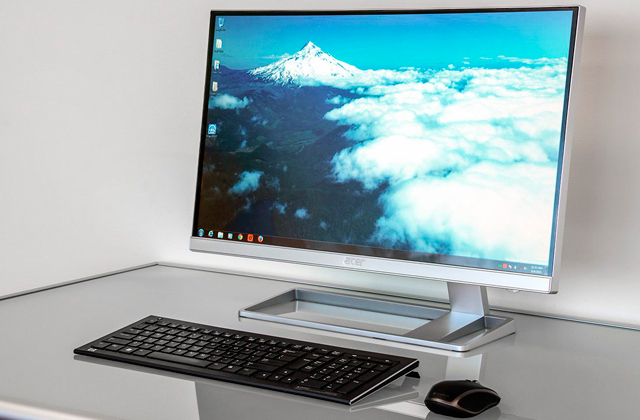 Other than its hardware, the best thing about this all-in-one desktop is probably the monitor. More specifically, the company's very own 21.5" IPS widescreen 1920 x 1080p monitor. As it is always the case, an IPS panel gives you outstanding colour accuracy, so the picture looks less "washed out". It is also responsible for the monitor's high contrast ratio with superior blacks and great viewing angles. Furthermore, this brilliant display offers optional edge-to-edge touch capability. It is a particularly great thing for children as it gives them intuitive and easy interaction with the computer. On top of everything else, we would be remiss not to mention the integrated 720p webcam with its HD image quality and a solid stereo system, with speakers that are professionally tuned with the help of Waves MaxxAudio® Pro. All things considered, the Dell Inspiron 3000 is as close as a budget all-in-one desktop gets to an actual high-end desktop rig. Other than the integrated GPU, the model packs the sort of hardware that really has no business being a part of such an affordable PC. For the most part, the Lenovo V410z presents a fairly balanced build. It definitely has its flaws but the advantages of this AIO computer far outweigh its shortcomings. The said advantages start with the hardware. The biggest and probably the most expensive part of this product (along with the monitor) is its processor. Equipped with an Intel® Core™ i5-7400T CPU, the model is great for multitasking and will let you juggle a variety of demanding applications. The processor features 6 megabytes of cache and a 2.4GHz frequency that you can get to 3.0GHz with Turbo Boost. Add to that 4 gigabytes of DDR4 SDRAM with an insane 2400 MHz clock speed and you have all the computing power you need for tackling just about any non-gaming related task. Of course, some things here aren't that impressive nor are they always necessary. We definitely like the addition of a DVD burner but, truth be told, a modern computer can do without it. The 7200 RPM 500 GB hard disk drive is just what you'd expect from an all-in-one desktop computer like that, nothing more and nothing less. HDDs don't really go higher than 7200 revolutions per minute, so you get a decent transfer speed. 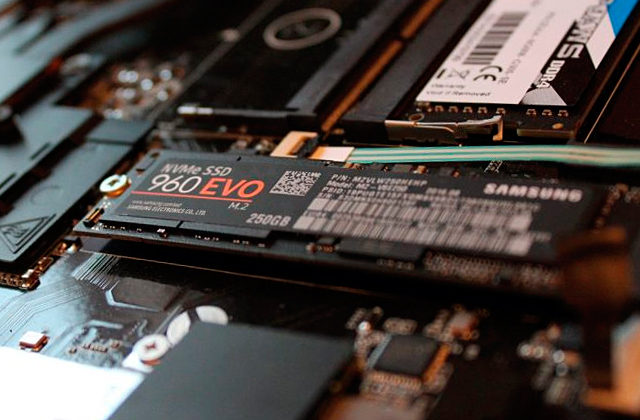 A small SSD with at least 128 gigs of storage space wouldn't hurt but it would be a bit too much to expect from a solid-state drive from such an affordable AIO rig. One of the most important parts of any computer, let alone an AIO PC, is always the monitor. Here, the monitor is mostly impressive. Sure, the TN panel doesn't give you the same viewing angles or colour reproduction that an IPS does. But its borderless design looks sleek, modern, and professional. The 22-inch panel is just the right size for work and a little entertainment. The display is LED-backlit, making it a suitable choice for people who prefer to work with the lights off. Its native full HD 1920 x 1080p resolution provides a crisp and detailed image. Focusing on your work with the sun staring right at your monitor can be difficult. Fortunately, this panel solves its issue with an effective anti-glare technology. Finally, the monitor comes equipped with tilt and swivel functions, so you can customise it the way you see fit. Plus, it makes the display great for collaborating. Speaking of collaborations, the webcam that comes with the computer stands on a rotating pod. You can rotate it away from yourself when you wish for some privacy and rotate it back to you whenever the need arises. To sum it up, the Lenovo V410z is definitely one of the more balanced all-in-one desktop computers in its class. Its slim and streamlined profile won't look out of place and might even add style to your room or workspace. The hardware and the monitor make it a solid rig for your everyday office work. 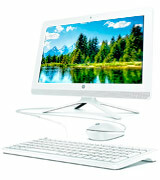 It is smooth and rounded corners and white sleek design that makes the HP 20-c000na 20-Inch All-in-One Desktop perhaps one of the most beautiful desktop computers available out there. Though, it is not only the design that people love about it. The HP 20-c000na has also been favoured for its high-performance capabilities and multitasking. In addition, the computer boasts a variety of pre-installed software for editing video and photo content, playing some simple games, and surfing the web. Let’s consider its technical specifications in more detail. The HP 20-c000na has AMD E2-7110: 4 cores clocked at 1.8 GHz; this type is considered energy-efficient and sufficient for handling most non-resource-intensive tasks. The motherboard features a single slot. Keep this in mind when you decide to upgrade the RAM. 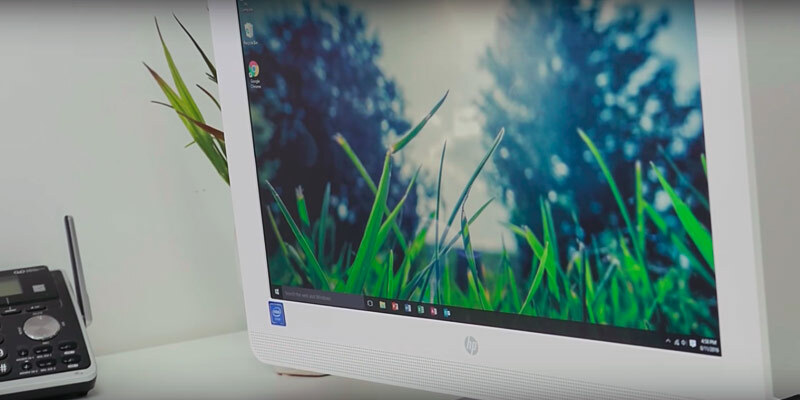 The HP 20-c000na uses high-quality IPS display technology to provide users with an awesome viewing experience and exclusive colour reproduction without minor deviations. They also provide wide viewing angles so that they could be viewed comfortably from any angle. A high-quality video adapter provides professional-quality audio and graphics. The PC has an AMD Quad-Core E2-7110 APU with AMD Radeon R2 Graphics. This integrated graphics adapter is perfect for watching films in HD quality, yet it’s not intended for graphically demanding games. 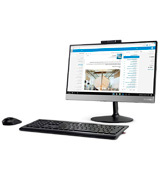 The HP 20-c000na All-in-One desktop has a large number of slots and ports, that allows for endless connection possibilities and high-performance efficiency. The PC has an Integrated Gigabit Ethernet LAN and a Wi-Fi adapter that supports the latest 802.11b/g/n standards, giving you a fast Internet connection. Thus, you can choose a wired or wireless router, that gives you the ultimate flexibility to choose the type of Internet access. Moreover, the PC supports Bluetooth 4.0 that allows you to connect to any smartphone and other Bluetooth enabled devices wirelessly. 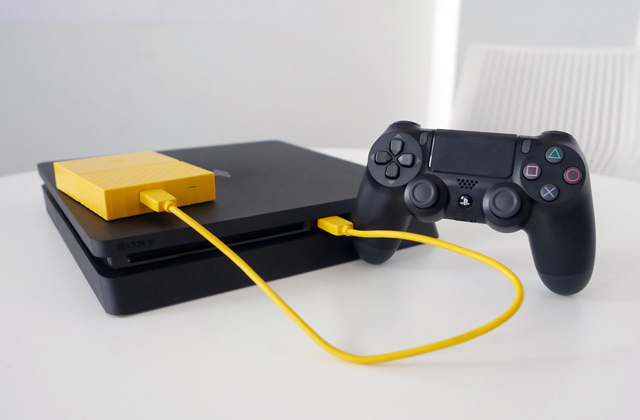 And a 3-in-1 memory card reader, two USB 2.0 and two USB 3.0 ports will also enhance your connection possibilities. A stylish USB white keyboard and an optical mouse perfectly complement this PC, adding a modern touch to your workspace decor. The all-in-one desktop comes with a lot of useful pre-installed software, such as McAfee LiveSafe for data ultimate security and CyberLink for unlimited multimedia possibilities. There's a lot to like about Fusion5 A7. But, more than anything else, it is definitely the price tag that the product comes with. For less than 300 pounds, you get yourself a fully functional PC, ready for work. It is a great computer for educational purpose and not the worst choice as far as entertainment is concerned. Of course, given its price, you can't really expect a state-of-the-art rig with top-of-the-line performance. But what you get in return for that very modest price is nothing short of impressive. For starters, the computer comes with a copy Windows 10 Home 64-bit Edition already installed. It may be nothing to write home about for your average desktop or even for a budget all-in-one desktop, but keep in mind that it costs somewhere around 100 quid on its own. Considering the latter fact, we wouldn't recommend taking that Windows copy for granted the way we usually do. The 17.3-inch panel is a little smaller than most of its competition. But it has its advantages too. For one, it takes far less space. 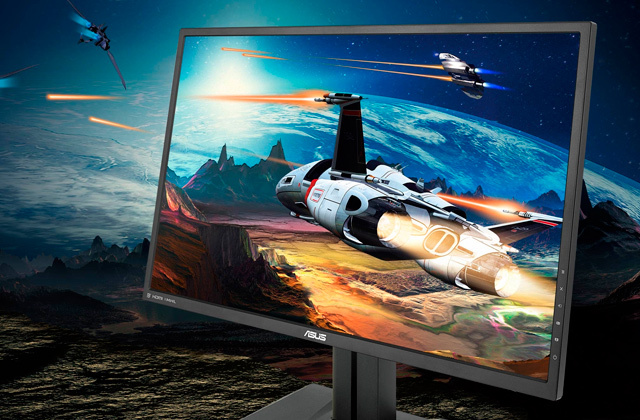 The monitor's ultra-slim profile features just 10 mm of thickness towards the edge. Without the mouse and keyboard, this all-in-one desktop computer weighs just 2.2 kilograms, so you can carry it around the house or take it to work like a laptop. Considering its size, you should be able to easily fit it in your backpack. It features LED backlighting so that you'd be able to comfortably work in the dark. Despite the relatively small size of its panel, the monitor features a 1600 x 900p resolution, a little lower than your typical full HD display but just the right fit for a panel like that. A resolution like that produces a realistic image with subtle and sharp details. On top of everything else, the monitor includes multitouch capabilities, so it doubles as a tablet as well. As far as hardware goes, Fusion5 A7 packs just what you'd expect from a super budget all-in-one desktop computer. The Intel Apollo Lake N3350 Celeron with its 2.4GHz frequency and the Burst Frequency technology won't let you crack the proverbial enigma code but it should be enough for your everyday tasks, as long as those everyday tasks do not involve juggling multiple resource-intensive simultaneously. That said, the 4 gigabytes of DDR3 RAM will let you dabble in some light multitasking, so you won't be quite as limited in your options as you'd think. Long story short, Fusion5 A7 doesn't really compete with high-end all-in-one desktops. But it doesn't need to. This is a device for education. A great computer for kids. It makes for a nice replacement or a secondary PC. And it is definitely one of the most portable AIO rigs we've seen so far. All-in-one desktops combine the compactness of laptops with the performance of PCs. You might even take a usual all-in-one computer for a computer monitor, so you don't need space for placing a system unit. Therefore, using an all-in-one PC saves a lot of space and requires no cables that usually connect a system unit to a monitor and peripherals. No wires and cables mean they won't be on your way, you will never trip over them, and washing the floors will be easy. If you choose a model with a wireless keyboard and mouse, a power cord will be the only cable your all-in-one desktop will need. 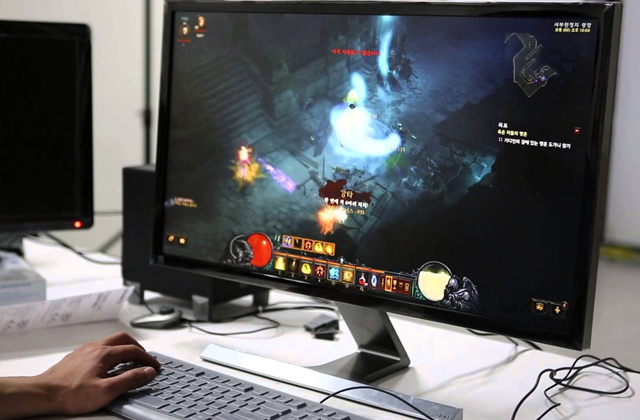 Next, all-in-one PCs are rather performing and they can easily compete with full-size desktops. Manufacturers do their best to squeeze all the hardware into a compact casing of a monitor. Thus, an all-in-one desktop is a fantastic device for homes and offices. If you wish to use compact computers for web browsing, we recommend you to consider our reviews of the best Chromeboxes and Chromebooks. 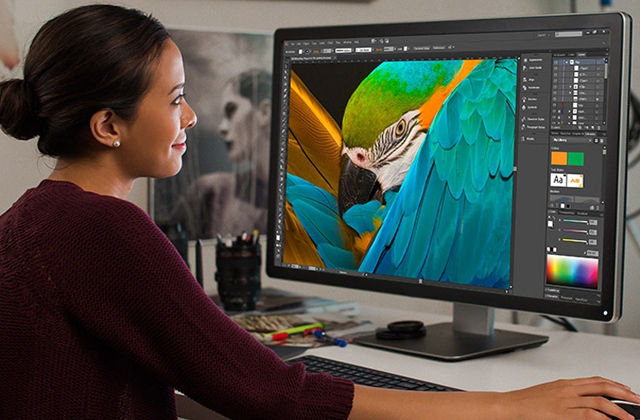 When you are about to choose an all-in-one desktop, start with the Screen and Image Quality. If a conventional PC allows you to switch a monitor quite easily, an all-in-one computer doesn't give you such an opportunity, unless you carry your device to a professional service centre where a panel itself will be replaced. So, start with choosing the right size (i.e. diagonal of the screen). If you are looking for an all-in-one PC for an office, a college classroom, or a lab - a screen size of 22'' will be enough. However, if you want a device for yourself - pick a bigger screen (24-27''). A large screen allows you to edit graphics with the top convenience. 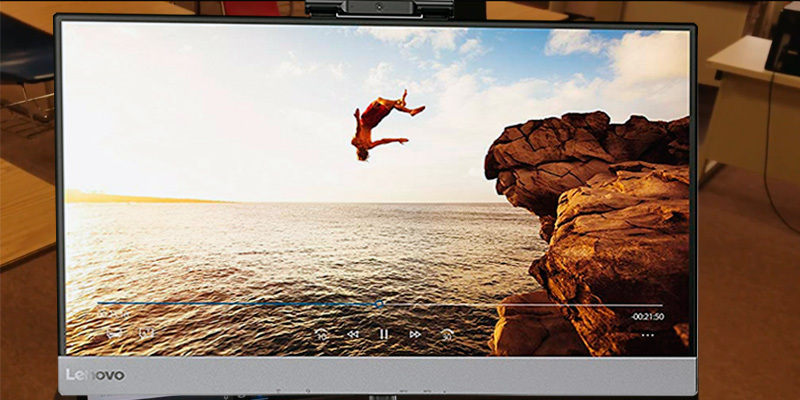 As usual, a screen of a typical 22'' or 24'' all-in-one PC supports Full HD resolution (1920x1080 pixels), which is required for comfortably watching movies, pictures, web pages, etc. Bigger screens (27'' and more) can also support 2K HD resolution (2560x1440 pixels) or even Ultra HD (3840x2160 pixels), but the best screens allow you to enjoy an outstanding 5K resolution (5120x2880 pixels). Such an extra-wide resolution is perfect for creating and editing graphics, for example. Next, find out what type of panel is used in every all-in-one computer. We recommend you to choose models with cutting-edge IPS or PLS panels that boast wide viewing angles and real-life colour reproductions. Cheaper models come with TN panels that provide excellent brightness. 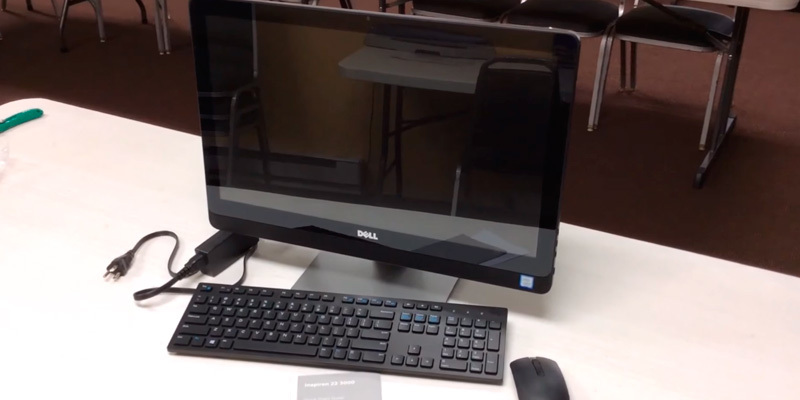 Some all-in-one desktops come with touchscreen displays. 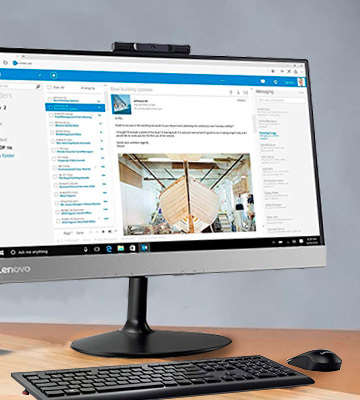 The next step for you to make is to consider the Performance and OS of an all-in-one desktop. It depends on hardware and the core of the hardware is the central processing unit (CPU). The more powerful it is, the faster your all-in-one computer works. In general, if you are looking for a decent office computer, a low-performing Celeron or A4 CPU and 2-4 GB RAM will be enough. But if you need a PC for some really hard tasks, like editing 3D graphics or playing cutting-edge PC games, you should get an all-in-one desktop with the latest-generation CPUs like Core i3/i5/i7 from Intel and at least 4 GB RAM. Don't forget to make a reasonable choice of storage capacity. 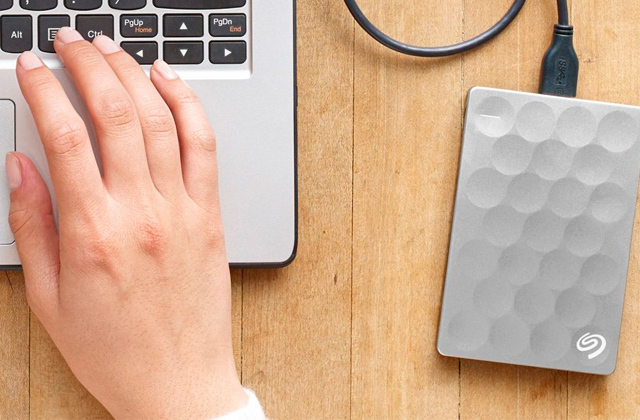 No need to say, your all-in-one desktop should have at least 500 GB of storage space if you are going to store a lot of data. Most devices have hard disk drives (HDDs), so check the spindle speed (measured in RPM) - the higher it is, the higher transfer rate is. 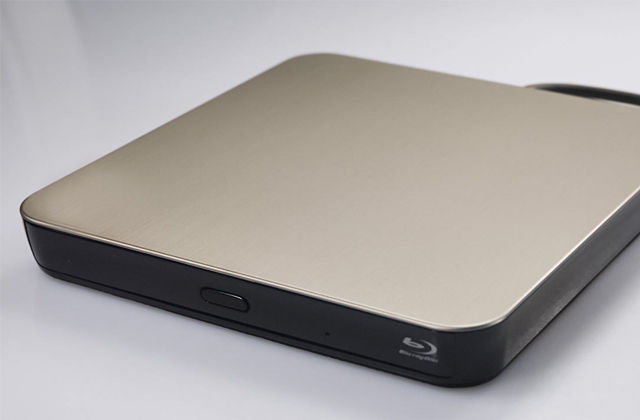 However, solid-state drives (SSDs) are better in terms of data transfer rate, so some all-in-one computers have SSDs instead of HDDs. Also, don't forget to consider the operating system (OS) installed on every all-in-one desktop. 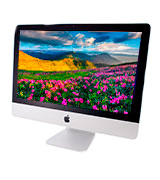 iMacs, for example, come with Mac OS X, which is believed to be fast, reliable, and lag-free. Other manufacturers offer Windows while ChromeBase all-in-one computers have Chrome OS designed for active web browsing. All modern operating systems automatically update to the latest versions and have built-in anti-viral protection, while Mac OS X is immune to virus attacks. Finally, consider Interfaces and Convenience of the best all-in-one desktops on our shortlist. Any computer must offer a variety of ports and slots to connect all kinds of gadgets and peripherals to it. Thus, the best all-in-one desktop should have at least one USB 3.0 port (which is 10 times faster than USB 2.0). 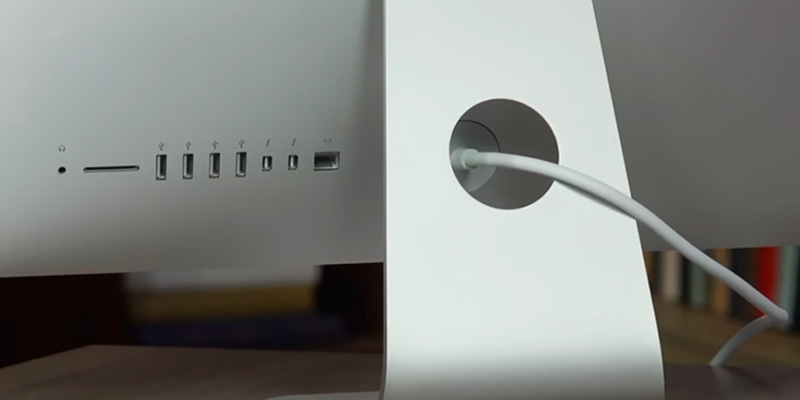 Apple all-in-one computers have Thunderbolt 2 interface which ensures the maximum data transfer rate of 20 Gbps, so transferring files takes seconds. Also, check out what type of WiFi signal is supported - they are different and if you want to enjoy the fastest Internet possible, choose the device with 802.11 a/c support. An all-in-one desktop should also have a good webcam and a sound system so that you can participate in video conferences, video chat with your friends, etc. Moreover, some all-in-one desktops come with a wireless keyboard and mouse, which is a major advantage - no need to buy wired ones. Some all-in-one touchscreen desktops allow you to adjust the tilt or can even be placed horizontally, providing the utmost convenience. 1. Lee Koo Would you buy an all-in-one desktop computer? CNET. June 19, 2015. 2. Joel Santo Domingo How to Buy an All-in-One PC, PCMag. January 28, 2015. 3. Matt Smith 3 REASONS YOU SHOULDN’T BUY AN ALL-IN-ONE, Digital Trends. August 19, 2015. 4. 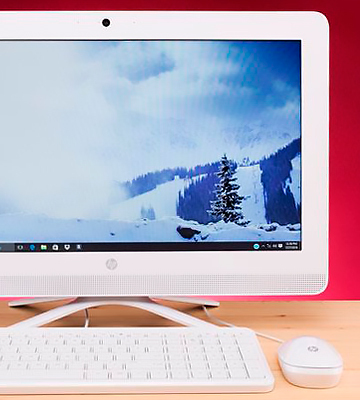 7 Reasons to Buy an All-in-One PC, eBay. March 3, 2016.